I have a space for Edinburgh marathon that I can transfer until the 24th of March if anyone is interested. Hi Rachel, I still have a place available if you’re interested? Hey, I'm also after one place for Edinburgh Marathon. If anyone have a place available, please let me know. Cheers. Hi All. I have to undergo an operation in April so I am looking to sell my spot! ArthurYU if you are looking I can oblige!! canal_runner_1983 & Edrunninglondon I thought I'd responded directly to your offers but can't be sure. I am also looking for a place as i would like to surprise my friend and run with her! Morning, I have a place available to transfer if anyone still looking? Hi all, I also have a full marathon place to transfer if anyone is still looking, the deadline is 24 March to swap so let me know by then please! Place has now been taken. Yes please. Is this still available? Does anyone still have a place they want to transfer? Hello - due to an injury, I have to give up on this year's Edi marathon, so I have 1 place to transfer. Message me via my profile for details. I believe the organisers have set a hard deadline of the 24th March for place transfers. I have a place to transfer due to injury reason. If anyone interested, please contact me via my profile. Just in case anyone is still looking for places, we are offering free places for the Edinburgh Marathon Festival 2019 to runners who join our team! We only ask that you aim to raise a minimum of £150, or £300 if you are running the full Marathon. We will support you along the way with fundraising tips and ideas, training advice, a free Rock Trust running vest, and stories from our frontline work so you know the impact your support is having. 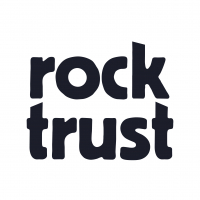 The Rock Trust works in Edinburgh and West Lothian with young people between the age of 16 and 25 who are homeless or at risk of becoming homeless. This includes young people who are in transitions, leaving care or home and those involved in offending, alcohol or drug misuse. Please do get in touch and email me at [email protected] if you would like to know more about running for the Rock Trust and supporting our work to end youth homelessness!